Did you know several Chevrolet models are equipped with a fuel-saving technology called start-stop? This innovative technology features allows the engine to turn off when the vehicle is stopped, say at a red light, and then start again when you take your foot off the brake. It all happens in milliseconds. It’s the newest effort to reduce vehicle emissions and save fuel and is not going anywhere any time soon. That’s because manufacturers are under intense pressure to meet strict fuel economy standards by 2025 and they are using ever more creative ways to wring out every last bit of fuel efficiency from conventional gasoline and diesel engines. According to a New York Times article, the fuel savings with start-stop can add up. Under average driving conditions, savings are 3 percent to 5 percent. But with a lot of stops and traffic lights that stay red for extended periods which can rise to 10 percent. By the 2020 model year, all Chevrolet’s will come equipped with the technology. Currently the Malibu, Cruze and Impala offer it. 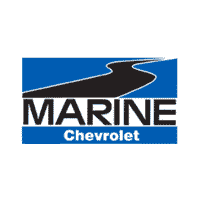 We welcome you to visit us and test drive the start-stop technology for yourself at Marine Chevrolet.